Opening this strong bill of European power-jazz – part of the Vortex Jazz club’s City Sessions series – Puma played backlit by strobe lighting that emphasised the disjunctive arrhythmia of Gard Nilssen’s drumming and Øystein Moen’s keys and electronics. It also made the wiry, shock-headed guitarist Stian Westerhus seem to twitch like a marionette, wired by the power-surge of his own effects. The Puma live show trades some of the subtlety of their 2010 Rune Grammofon album Half Nelson Courtship for a shock-and-awe effect of amped-up multivalent noise, which can be disorienting for the uncommitted, but offers up textural riches and switchback surprises for those hanging on for the ride. The Leeds-based trioVD can be equally discombobulating, but they’ve loosened up a bit onstage since the last time I saw them. Relaxing the compacted, quick-change momentum that characterises the needling, herky-jerky jazz-punk of their recordings, they make time stretch to get a bit deeper into looser experiments with tone and texture. It sounds wilder, but their timing is still rigorously tight, the trio still sounding ferociously well-rehearsed, and whenever they pause for breath or banter they seem anxious to crack on, hyped on infectious nervous energy. Guillaume Perret’s Electric Epic are a far more straightforward proposition. With the leader playing sax with wa-wa pedals and effects, Electric Epic’s robust melodies marry gallic and north west African inflections to a muscular rock rhythms. 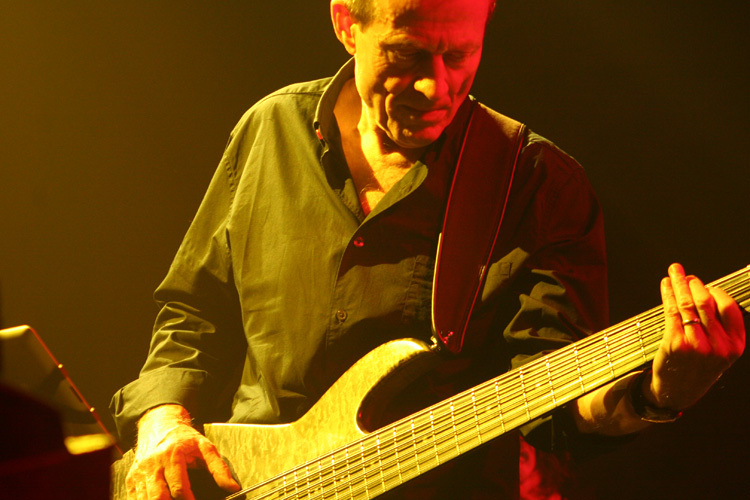 The elasticity of Bassist Philippe Bussonnet is key to the group’s ability to riff on different idioms, and guitarist Jim Grandcamp is a fluent soloist, but for my tastes the groups’ main set was rather too polite and even a bit stolid, with neither the expressive freedom of jazz nor the visceral intensity of the best rock music. In their encore though, they played with an uninhibited spontaneity they’d previously lacked. Arve Henriksen photo by Tim Owen. When John Paul Jones and Helge ‘Deathprod’ Sten played a Minibus Pimps set at Cafe Oto earlier in the year their performance was tentative, often enthralling but more suggestive of potential than a full-blooded success. 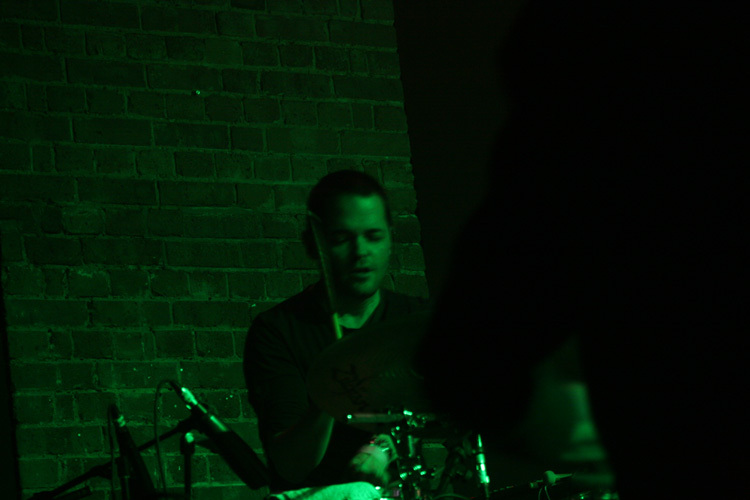 When Supersilent become a trio on the departure of drummer Jarle Vespestad in 2009 they seemed to stall. Their album 9 was recorded as a Hammond trio, while 10 saw the band essay a more lyrical approach, with Ståle Storløkken on acoustic piano. Both are beautiful recordings, with 10 arguably their most accessible, but they lack the bite of their best work. So this was a better show than I dared hope for; in fact it was the best Supersilent concert I’ve seen, comparable in musical style and creative intensity to the magnificent performances captured on the Supersilent 7 live DVD. With Storløkken once again on electric keys, the major surprise here was that Arve Henriksen now plays drums, in addition to trumpet, voice and electronics. Though his percussion style is more straightforward than Vespestad’s, it still combines beautifully with Supersilent’s intricate, fractured electronics. In more ambient passages his etherial vocalese and plaintive trumpet lend the sometimes imposing soundscapes a haunting beauty. If Jones seemed sometimes ill at ease with the ambient textures of Minibus Pimps he was in his element plugged into the electric ebb and surge of Supersilent’s gathering storm/ocean-swell crescendoes. He played with a fluency and freedom that only served to amplify the emphatic precision with which he grooved Led Zeppelin and Them Crooked Vultures. There was nothing about this show to suggest that Supersilent altered their established freewheeling improv aesthetic one iota to accommodate Jones; rather he fit the group dynamic as if he’d been a part of it all along. Before this tour he’d guested with the band at the 2010 Punkt and 2012 Moldejazz festivals. They should do the world a favour, and make the union permanent. This entry was posted in Live and tagged Guillaume Perret Electric Epic, John Paul Jones, London Jazz Festival, Puma, Stian Westerhus, Supersilent, trioVD. Bookmark the permalink.